Leave your car behind and with nature unwind. 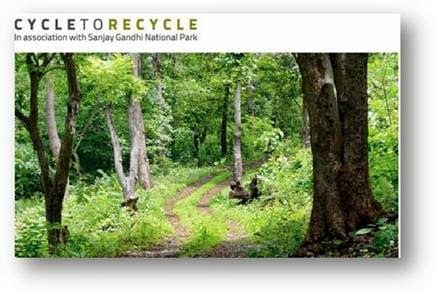 This Sunday participate in a Cyclathon inside Sanjay Gandhi National Park to keep it pollution-free. Along with healthy body and environment, get a healthy mind and soul too! Tamanna C, a natural healer, soul coach, and psychic, will conduct outdoor guided meditation session to introduce the concept of enjoying nature and rejuvenating. So don’t just take an off this weekend but truly ‘switch off’ from routine at SGNP. For entries and registrations login to: people can send their name, mobile no and email id on info@rivalipark.com for free entry.